The legal system brought from Britain when Australia was colonised did not recognise Aboriginal laws and community structures, including laws relating to land. Indigenous people became subject to colonial laws, and Australian general law. All of Australia was treated as terra nullius, meaning 'nobody's land', and able to be claimed by the Crown and acquired by the colonisers. In 1992 Aboriginal title to land was finally recognised at common law, in the landmark case of Mabo v Queensland (No 2) ((1992) 175 CLR 1). The High Court rejected the notion of terra nullius and recognised a preexisting indigenous system of law - native title ie: Australian law recognised that some Aboriginal and Torres Strait Islander people have rights and interests in land or waters that come from their traditional laws and customs. Therefore, upon colonisation, the Crown did not acquire absolute title; it is subject to preexisting native titles that had not been validly extinguished. Native title can be extinguished only by lawful exercise of government power with clear and plain intention, or by abandonment or surrender of traditional lands to the Crown. The Native Title Act 1993 (Cth) was subsequently enacted to give effect to the Mabo decision, and to set out processes for claiming native title. The Native Title Act also sets out how native title interacts with other people’s rights and interests. A claim for native title can be determined either by agreement or by a court. The Native Title Act created the National Native Title Tribunal to negotiate claims of native title and to retrospectively establish lawful extinguishments of title. 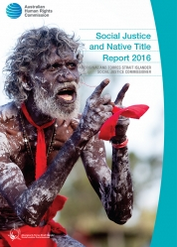 This book annotates the Native Title Act 1993 (Cth) and analyses the common law principles applicable to native title. It explains the essential concepts and principles which underpin it, including relevant principles of constitutional, property and discrimination law, referencing a range of relevant authority and materials. the operation of the Native Title Act 1993 (Cth) and the effect of the Act on the exercise and enjoyment of human rights of Aboriginal and Torres Strait Islander peoples. the broader enjoyment and exercise of human rights by Aboriginal and Torres Strait Islander peoples, and recommend action that should be taken to ensure observance of these rights.